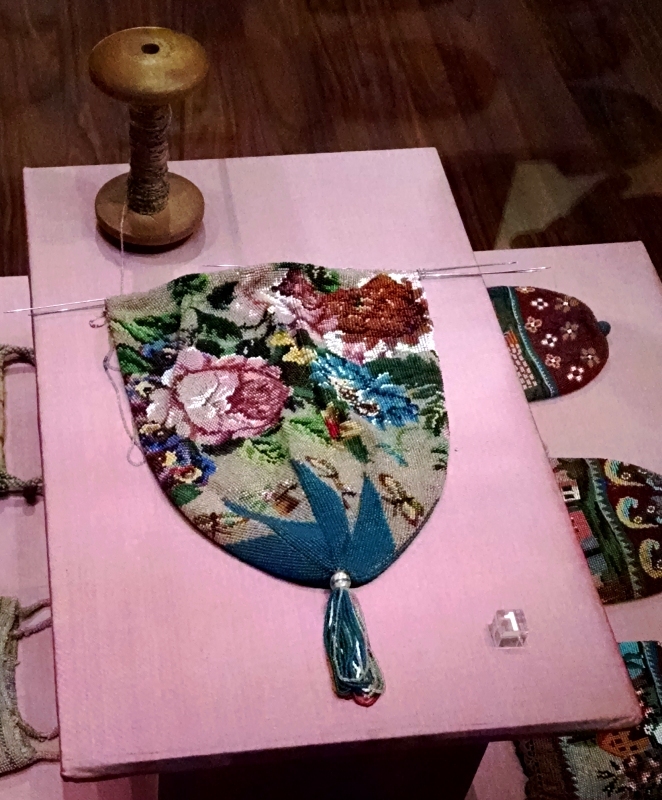 One of the museums on my list to visit in Amsterdam was the Museum of Bags and Purses. No, I’m not a bag fiend—that’s my friend TeapotGirl—but I do enjoy them. I also enjoy museums that dedicate themselves wholeheartedly to something niche like this. (Also it was included in the list of museums that had free admission with a Museumkaart.) It’s located in a beautiful canal house near Rembrandtplein. The bag at the top of this post is a half-finished antique beaded bag. Apparently in order to make these, you first had to figure out the pattern and order in which all the beads needed to be in order to get a coherent design, then string all of them onto your cord (the spool you see at the top left), and then get to knitting. It seems amazingly complicated. I really liked being able to see the process. I learned after I had gone through the museum that we weren’t supposed to take photos. My bad. Thankfully, these photos are terrible (SHAKY HANDS) and should in no way substitute for an actual visit, should you get the chance! I really enjoyed the historical section of the museum. Once they got into the latter half of the 20th century the informative aspect of the museum sort of dried up. I guess they figure if you’re into this stuff, you already know? 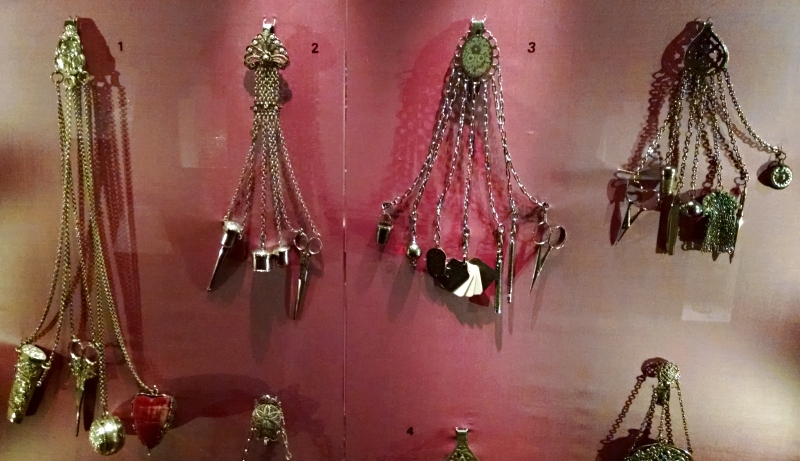 But I would say that the sections regarding the history and evolution of purses were definitely worthwhile. I thought these chatelaines were pretty damn neat. I thought to myself “these look so cool, they should totally make a comeback,” but then I realized that these days they’d just look like oversized charm bracelets. Still, I think they could be integrated successfully into some sort of steampunk costume. And then I ran a search for “chatelaines” and discovered there are some antiques on eBay if you’ve got a few thousand bucks kicking around.